While the Dermalogica line has always been for both men and women, we recogize that men's skin is different , primarily because it undergoes a form of severe mechanical exfoliation: shaving. No matter how often razor is placed to skin, shaving is a bit of a hazard. It can cause irritation, sensitivity, redness, razor burn, ingrown hairs and bumps often due to ingredients that either over-dry and strip skin of moisture or clog follicles with heavy formulas. 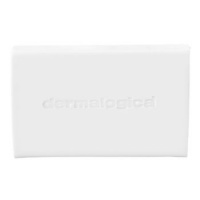 Because skin health impacts the success of every shave, Dermalogica Shave has been designed as the first double-action system that focuses on delivering a maximum comfort, super-close shave and an enhanced skin condition through ingredients that benefit skin health. Also skin looks better, feels better and each subsequent shave is enhanced. Our convenient three part system of Pre-Shave, Shave and Post Shave is also the first to address skin condition as well as beard growth. Help reduce discomfort and redness brought on by shaving with this super cooling treatment balm. Intensely moisturizes and soothes to shorten post-shave recovery time. Heavy, tough beards require extra prepping that maximizes beard softening without the high-alkaline ingredients that can aggravate and dry skin. An ultra-lubricating cream that delivers a super-close shave that wonÕt leave skin feeling sore. It helps skin recover from damage while preventing aggravation brought on by shaving. A lightweight shaving gel that soothes, cools and softens. Clear formula allows for optimum visibility of areas to be shaved. Calms redness while combating irritation for a pain-free shave.